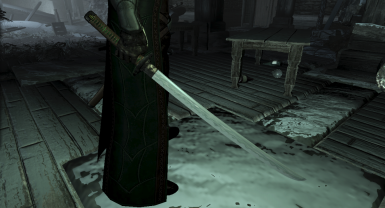 A model replacer for Glenroy's Akaviri Katana, a unique weapon from Beyond Skyrim - Bruma. Credits and thanks to Yurica﻿ for the beautiful Hanakotoba Katana Sets by Yurica﻿ assets and to the Beyond Skyrim - Bruma team for their amazing content and questline involving this weapon. 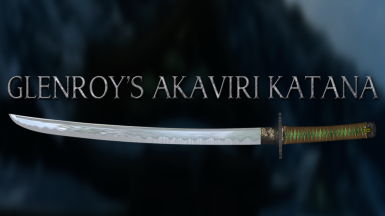 This mod replaces Glenroy's Akaviri Katana weapon model (both the normal and empowered version), a unique weapon from Beyond Skyrim - Bruma. 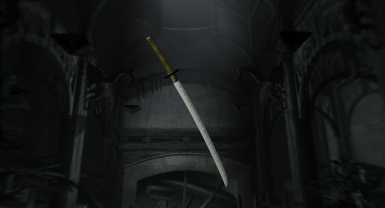 The model is a partially retextured and edited model of Yurica's Hanakotoba Katana Sets combined with a modified part from the Ebony Blade. 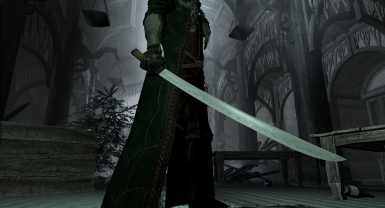 This mod won't change the textures of Ebony blade, and it is not dependent in your installed Ebony blade textures. This will only require you to have Beyond Skyrim - Bruma in your load order as the esp is dependent in the said mod. comment if you're interested in helping in this matter.